Running is one of the most popular sports in the United States, and that’s also true in the Roanoke Region. Our area is home to America’s Toughest Road Marathon, you can find a 5K or trail race on the calendar almost any weekend of the year, and area pub runs are growing by leaps and bounds. So, let’s go for a run. One of the appeals of running is that is something almost anyone can do and you can put as much or as little time into it as you like. Been thinking about running, but not sure where to start? 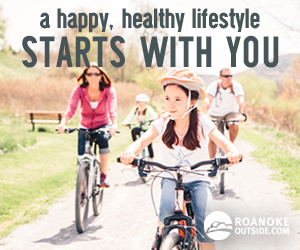 Roanoke is home to plenty of groups to help you find support, training, and even just good conversation. “We are here to support one another and our passion,” says Marion Childress, founder of C&C Runners. Here’s a look at running groups, when they meet, and how you can get involved. There’s something for every skill level from walker to marathoner. The Badass Lady Gang is a free global running movement on a mission to connect, support, and encourage women to get active in ways that empower them. The Roanoke chapter kicked off in January (although some members have been together since 2017). 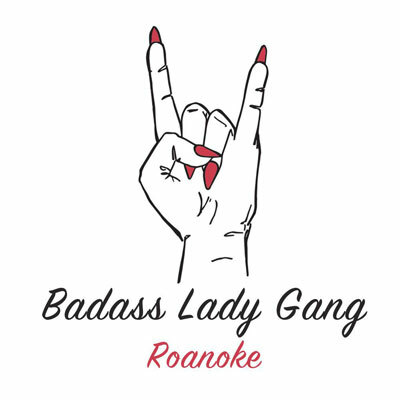 The goal of bringing the BALG to Roanoke was to encourage more women to get active, so runners, walkers, and badasses of all fitness levels and experience have a tribe where they feel welcome, supported, and strengthened. The mantra of BALG is that “our goals are individual, but together, we redefine what strength looks like.” BALG was founded nationally by Kelly Roberts, who struggled with her identity as a runner, because she saw runners as slim, athletic, and fast, and she didn’t feel she checked those boxes (a common theme among many runners). Her vision for BALG is to redefine what strength looks like; health isn’t a look; it’s a lifestyle. You are invited to BALG events, including first and third Wednesdays at 6 p.m. at Vic Thomas Park: The idea is to have a fun (and challenging) workout that helps push everyone to get stronger while creating a common bond. The Blacksburg Striders running club, located in Blacksburg, began in 1980 as the Virginia Tech Striders. 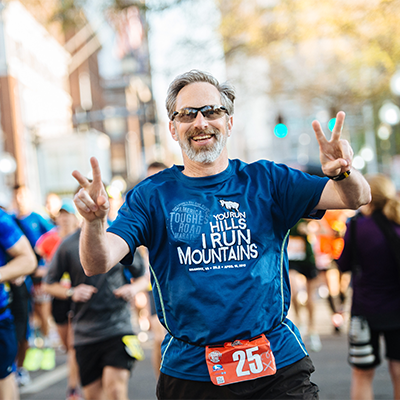 Though the name has changed, our purpose remains the same: To provide community involvement and a source of camaraderie for local runners to enjoy group events, races, social activities, and community service in the context of the sport. Members receive discounts from local athletic stores, reduced entrance fees to club-organized races. The running group is a “ great place to make new running pals and ‘earn’ your favorite craft brews,” says Keno Snyder, owner/manager of Parkway Brewing Company. Get your card punched after each run and with three finishes, earn a pint for a penny. Activities: The weekly 5K run starts at 6 p.m. on Thursdays at Parkway Brewing, follows the greenway and comes back to the brewery, which is open for tastings and will have food options from an area food truck. For runners of like passions who like to share their adventures and photos. We love info on running, racing, encouragement, family functions, and info on upcoming races. The running team has been participating in events together since 2010. Each team member is assigned a unique team ID, such as those used by running groups such as Marathon Maniacs. Activities: Team running at various events; great place to find running partners or buddies. Walking groups on Tuesday and Thursdays; keep up with events on Facebook. Who should join: For running, jogging, and walking; team includes runners that are “slow, fast, and everything in between” says founder Marion Childress, who noted that the group is great for beginners. Franklin County-based running group plans weekly runs, an annual run from Rocky Mount to Ferrum College (CR10) and the Crooked Road 24 Hour Ultra (CR24) at Waid Park. Group also hosts social events. The CRRC is an RRCA affiliated club. Who should join: Runners of all levels. 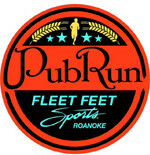 Fleet Feet Sports Pub Runs take place every Tuesday at 6 p.m. at Mellow Mushroom. Pub Runs will include a three and five mile route. FREE and open to the public! Fleet Feet Sports VIPR (Very Important Pub Runner) Membership presented by Brooks is a great way to earn prizes, receive special discounts and have a digital check-in process at the Fleet Feet Sports Pub Runs. You sign up for the VIPR Membership once per calendar year and can earn Lifetime Points that will earn you some really cool prizes! Whether you want to start walking, or run your first marathon, Fleet Feet Sports has a fitness program that will FIT your needs! Be part of the movement and come train with us! We offer training programs year-round! 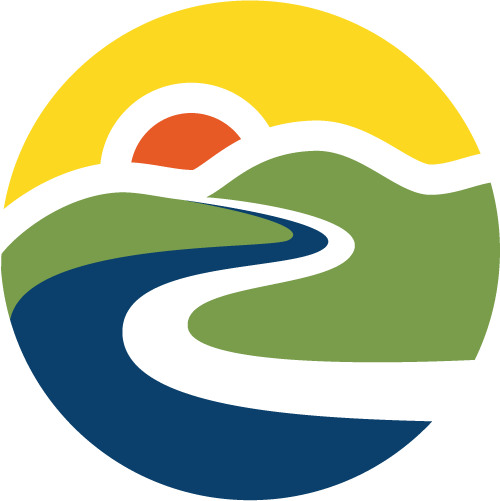 Pathfinders is a group of citizens who represent the trail users of the Roanoke Valley for non-motorized trail uses, with a vision is to have all area trail users meet and work together on projects that would benefit the community. With three different types of groups, run follow a no runner left behind mindset and will stop and wait on runners to catch up. Start as a group, finish as a group. Formal and informal runs can be found on the Facebook page. Activities: Three weekly trail run groups and informal meetups. The Turtles group is designed for beginners or for runners who like to run/walk the trails with group leader Paula Laag. Second group is No Runner Left Behind which is geared for beginners who want to work on getting their miles up and all other runners who like working on their pace. This group will stop and wait at intersections and on long climbs. Will have a short break to let everybody catch their breath with group leader Doug Falls. The third group is the Non Stop Group (who likes to stop and talk?). This group is geared for the runners who like to run at a faster pace. Will stop at some intersections and at the turn around spot with group leader Tabitha Walker. Volunteer organized group of active individuals who celebrate a running and walking lifestyle. We welcome all speeds, levels of competitiveness (and non-competitive) and fitness levels to take part in races, fun events, and group runs for our health and well-being. Members participate in individual running activities, races, and as volunteers at area events and has been active Roanoke since the 1970s. The group also maintains a calendar of all of the races happening in the area. Activities: Group runs and event planning across the region. 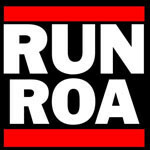 Check the “Run with Us! page for the group run schedule (varies by season), including weekend group runs. Monthly meetings and social events throughout the year, as well. The the first Pub Run Group in Roanoke is a group that likes to socialize after runs. The pub run has been taking place weekly since 2008. Find each week’s run on Facebook. Activities: Meets weekly for 3-5 mile run/walk in the Grandin Road. Group meets at 6:30 p.m. Tuesdays at the Village Grill. Who should join: For running, jogging, and walking; pace for everyone with no one left behind. Activities: Training and social runs for trail runners of all levels. Times and locations of social runs are posted on Facebook. Explore Roanoke with a running group that mixes it up with two group runs each week. The catch is that you never know where the run might take you because the location moves before each run and is announced on Facebook the day before. Recent runs have include 3- to 5-mile runs through Downtown Roanoke at night with glowing gear, runs along the greenway, and around the track at Hidden Valley High School. The group is large enough that every runner is sure to find a pace partner. Activities: Group runs on Mondays and Thursdays (usually at 6:30 p.m.); location announced the day before on Facebook.